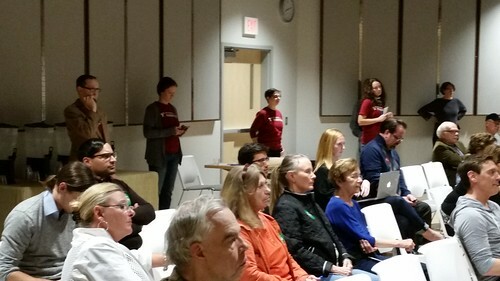 On October 22nd, volunteers from the Des Moines Rehabbers Club staffed the City Council Forum organized by Northeast Neighbors and several partner organizations. It was a great chance to hear about current issues facing our city and the future leaders we’ll be working with. Nearly all of the candidates mentioned “rehabbing,” “fixing up single family homes,” and “preserving our history” in their comments and the Rehabbers Club helped get that issue on the table. Watch our website for candidate responses to the Rehabbers Club’s questionnaire on historic preservation issues.